A U.S. toxicologist researching incidents involving the doomsday cult Aum Shinrikyo met one of its former senior members on death row on Thursday to discuss the recent murder of Kim Jong Nam, the North Korean leader’s half-brother, by VX, a deadly nerve agent. Anthony Tu, professor emeritus at Colorado State University, said the murder of Kim Jong Un’s estranged half-brother was one of the topics discussed during his 30-minute meeting with Tomomasa Nakagawa at the Tokyo Detention House. Nakagawa, 54, wrote a letter to Tu on Feb. 22 saying Kim Jong Nam may have been attacked with VX. He wrote the letter two days before Malaysian police announced that the nerve agent was detected in his body. Nakagawa, a former doctor, based his assumption on symptoms Kim allegedly showed, such as eye pain and frothing at the mouth, which he read about in newspapers. 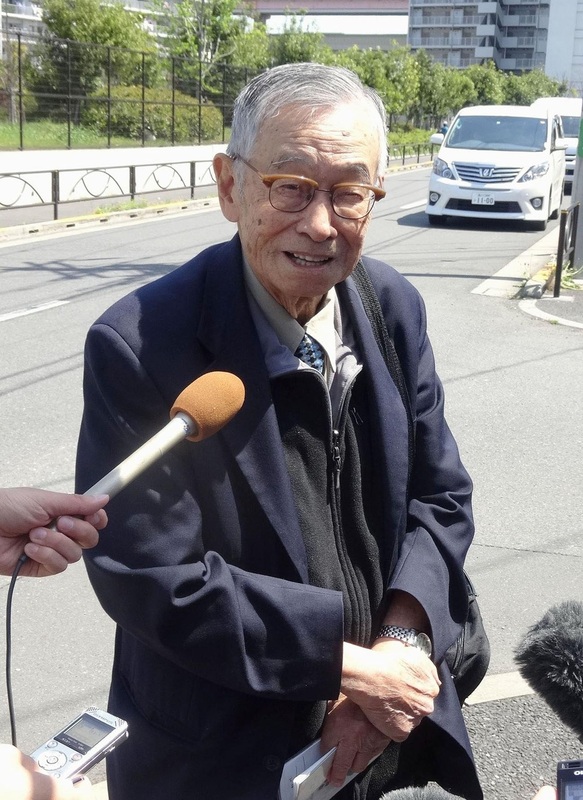 Meeting Nakagawa for the 11th time since 2011, Tu, 86, has been given special permission to see the death row inmate for research purposes. It is rare in Japan to let anyone other than lawyers or family members visit convicts sentenced to death. Nakagawa was convicted for his role in producing the sarin used in the deadly nerve gas attack on the Tokyo subway system on March 20, 1995, which killed 13 people and left more than 6,000 injured, as well as for his involvement in attacks that made use of VX. Nakagawa, whose death sentence was finalized in 2011, published a memoir last year that included a personal apology to the victims of the attacks committed by Aum and details on the production of sarin. He decided to write after being encouraged by Tu. On Thursday, Nakagawa asked Tu what would be useful for him to write in the future in connection with toxicology, and the expert advised him to write about the symptoms of VX poisoning, because Nakagawa had treated Aum members who fell ill after carrying out VX-based attacks. Kim Jong Nam died on Feb. 13 after two women smeared VX, an internationally banned substance and weapon of mass destruction, on his face at Kuala Lumpur International Airport, according to Malaysian authorities. Nakagawa was also found guilty of involvement in a sarin attack in a residential area in Matsumoto, Nagano Prefecture, on June 27, 1994, that killed eight people. 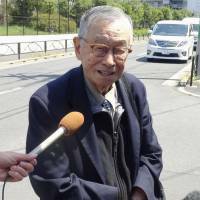 Tu said he and Nakagawa, who appeared to be in good health, also discussed the situation in Syria, where the deadly nerve agent was suspected to have been used in an attack earlier this month.